After much noise apple created over the past few weeks, one can imagine that the iphone 6 hype is just another coming of Christ. Yea! Quality makes noise, but so far, i have not seen any gadget that has made wave for the past few months as Apple Iphone 6 has ever done and with the look of things, the company never made a mistake when they made the iphone 6. Well, couple with the fact that i have been on vacation for the past three weeks or so, i would love to mitigate the use of lengthy words and deliver you brief information regarding the iphone 6.Below is the specification and features of the iphone 6. 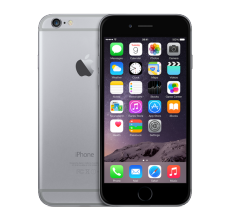 Are you looking for the specification and features of the iphone 6, then here are the details of the iphone 6. Nigerians can buy from konga.com at the price two hundred thousand with free shipping. Those from other countries can make the purchase from Amazon and other channels. Not a big fan of apple products but for the information purpose i have to go through this post.